Where would I be without my life hacks? Definitely unorganised and forgetful! Over the years I have found and adapted a few life hacks for myself if that's for at home or in school. We've all experienced when you need to go somewhere for the day and your phone is less than 20% and you know you won't have time to charge it up until you get home. I have used this trick so many times to get me out of a dead phone, this cuts down time and charges up your phone fully in about 40 minutes. I'm not to sure can you do this on an Android phone but I presume there is a variation. Firstly turn off everything Mobile Data, Bluetooth, Wifi etc, activate Airplane mode and put your brightness to the lowest. Next head into Settings - General - Accessibility - Greyscale. Once all that's been done, plug your phone in and get charging. Nothing worse than waking up with not so fresh hair and I hate the feeling of it too. 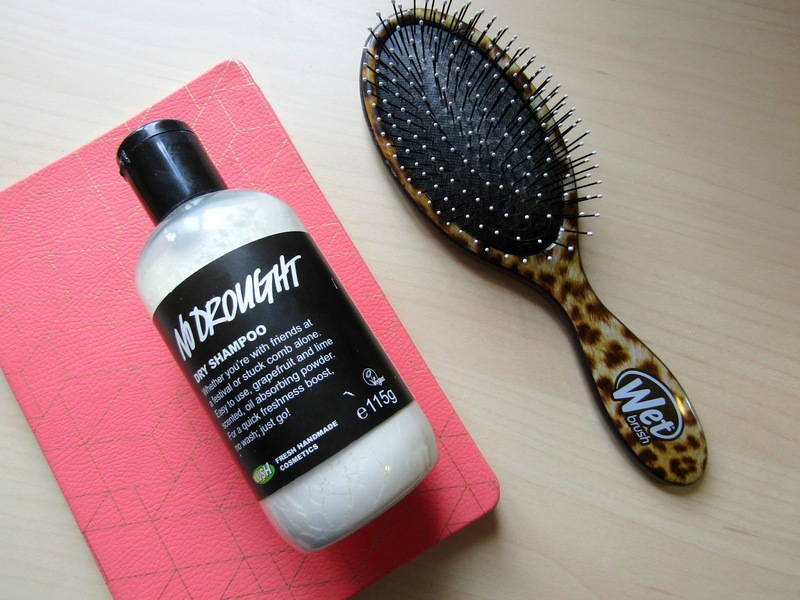 The night before I normally put in some dry shampoo and during the night while I move around in my sleep the dry shampoo absorbs the oil and the white cast disappears. Also, it's one less thing to do in the morning. Another school related one! If you have a locker then there's a few things you might need. I always have magnets to put my timetable to the inside of the door which is great as I don't have to take out my journal. Also, try to keep your locker tidy as it's harder to find books when it's messy and you can end up damaging books. Keep a spare durable shopping bag in your locker just in case a. your bag is too heavy for all your books or b. your books can't all hit into your bag. If you are like me and sometimes forgets to bring something home from school, write it on your hand. I know this isn't really a hack but if you put a memo on your hand you will definitely see it. I use this constantly for getting homework from my locker at the end of the day, so I can spend the least time and get going home. If you are afraid it may rub off, write it near to your wrist as it is less likely to rub off there. I don't mean log off your phone for the rest of your life to be more productive but instead delete the app you spend most time scrolling through to procrastinate and only let yourself log in on your browser. My procrastination app of choice is Facebook as you can scroll for days and it will never end. I find using a browser to use Facebook makes me spend less time as the website isn't as polished as the app and can lag. If you want to take it a little further, log out each time you use your app of choice so you have to enter your password to go into it again. You won't feel like using it as you have to enter your password or figure out what your password is. Hands up who likes to procrastinate? Me! 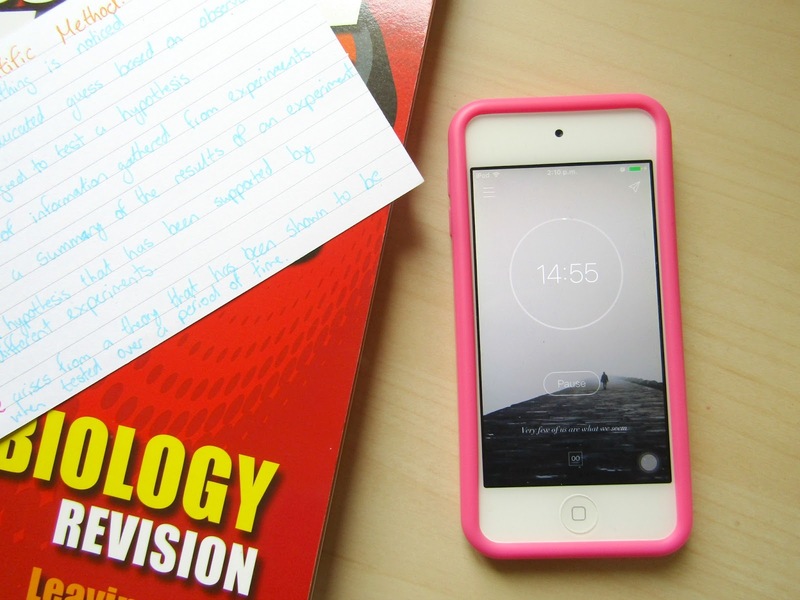 The pomodoro technique is a time management method that helps you focus on a task for 25 minutes and then get a 5 minute break. I find this great for doing a couple of those little 5 minute to dos, editing photos, scheduling tweets and studying. I use it for an array of things. There are 2 good apps to help stick to this technique, Tide (free) and Forest (€2.30). I prefer Tide as if you have to cancel the session for whatever reason they don't mind while if you do it in Forest you get a dead tree. An emergency kit is perfect for emergencies, if you cut yourself, need to tie up your hair or it the red sea comes to town, a kit with everything you might need is important. 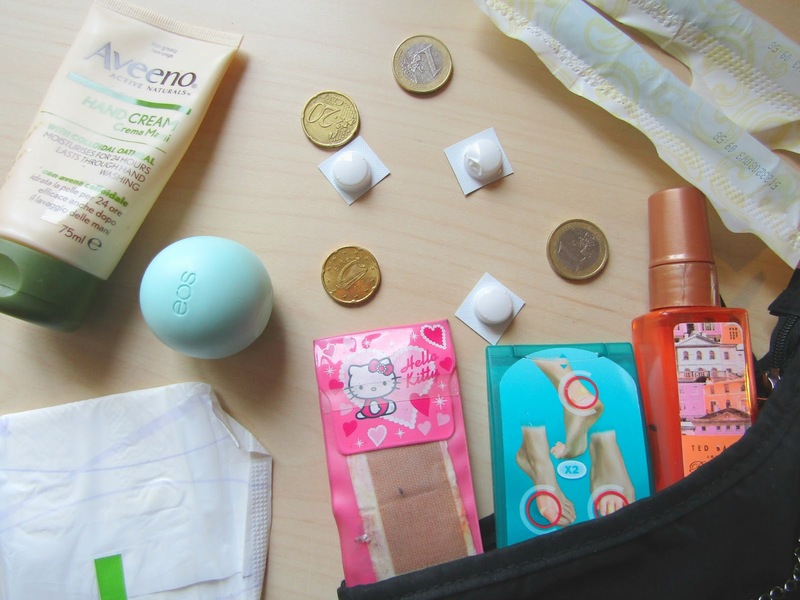 In my emergency kit, I have a body spray, blister plasters, mints, money, pads, tampons, plasters, tissues, money, lip balm, hand cream and some painkillers. There are some things I use more than others but it's nice to have something for any problem. I don't mean schedule your whole life, if you are into that then do it but me personally I can't stick to a strict schedule. If you are a blogger, YouTuber, Instagramer or like to tweet a lot, I would recommend to schedule. I schedule everything when it comes to online, my blog posts, YouTube videos, tweets and Instagram pictures and it means I don't have to worry about not tweeting in the past few days or forgetting to publish a blog post. It means that I don't have to worry when I mightn't be near a laptop. Apple chargers are the worst, they don't last very long and always end up breaking really easily. I hate paying €25 for a charger that doesn't last very long, so I took to the internet to find a way to protect it. You take a spring from a pen and stretch it out a little and wrap it around the wire and place it at both ends. Be careful when doing this as you might get stabbed by the spring. 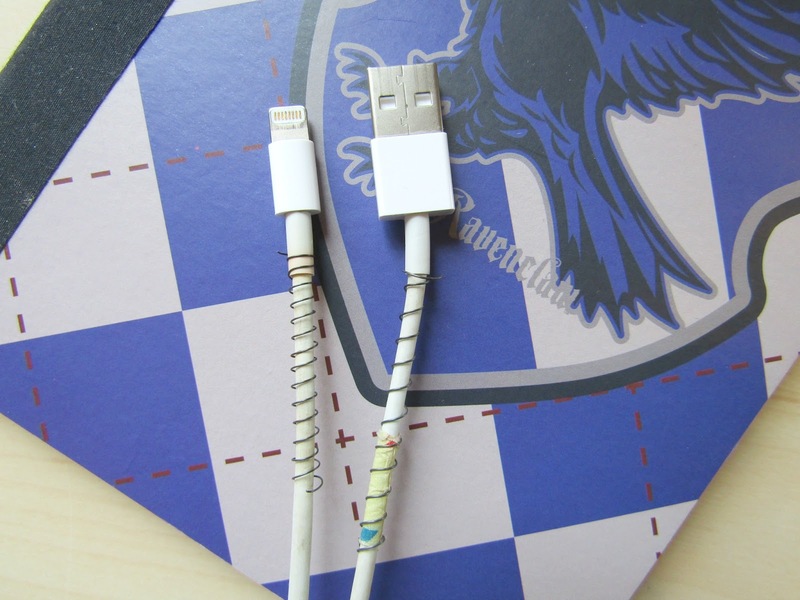 This protects your charger from exposing wires near the ends and have another level of re-enforcements. Also, you'll know which charger is yours as it has springs on it. 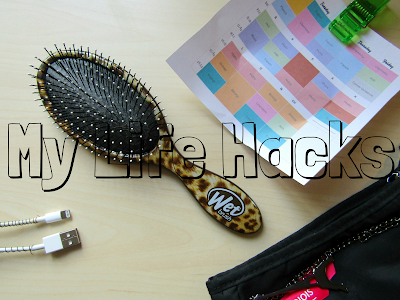 Do you have any interesting life hacks? 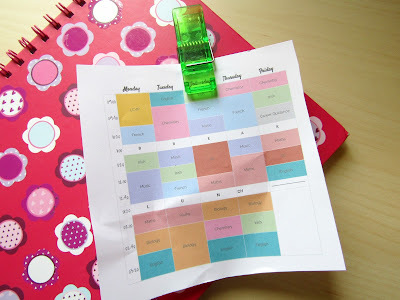 When it comes to my blog and keeping up with all my blog related social media I really love scheduling everything as well, it makes things so much easier! 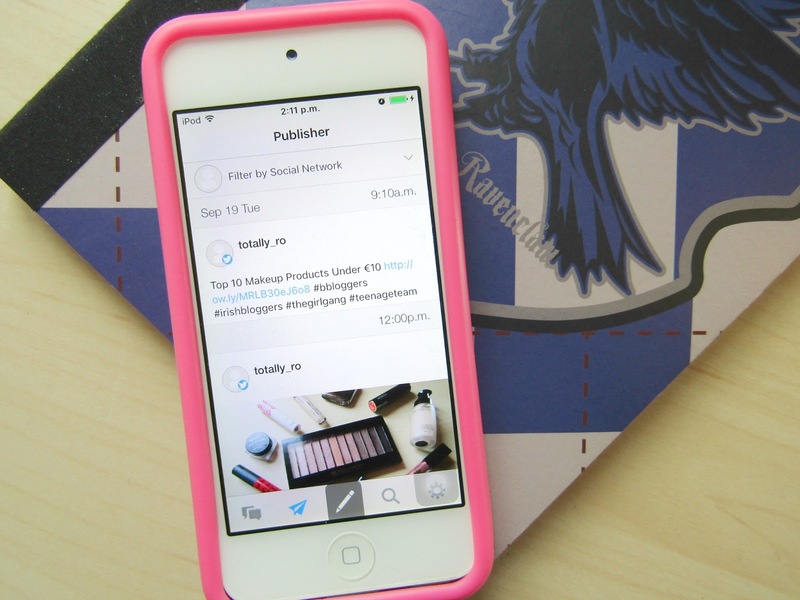 I love Tailwind for scheduling my Pinterest pins as well. Thanks for commenting Julia! I have never heard of Tailwind but I am not very active on Pinterest. Thanks for commenting Marian! It takes a lot of effort to schedule stuff, I hate doing it but I find it worth it. I love using Forest ! It helps me so much...I love all of these hacks. Great post! Thanks for commenting Aby! I love growing the trees, I find it helps with my concentration a lot.